Hey everyone! 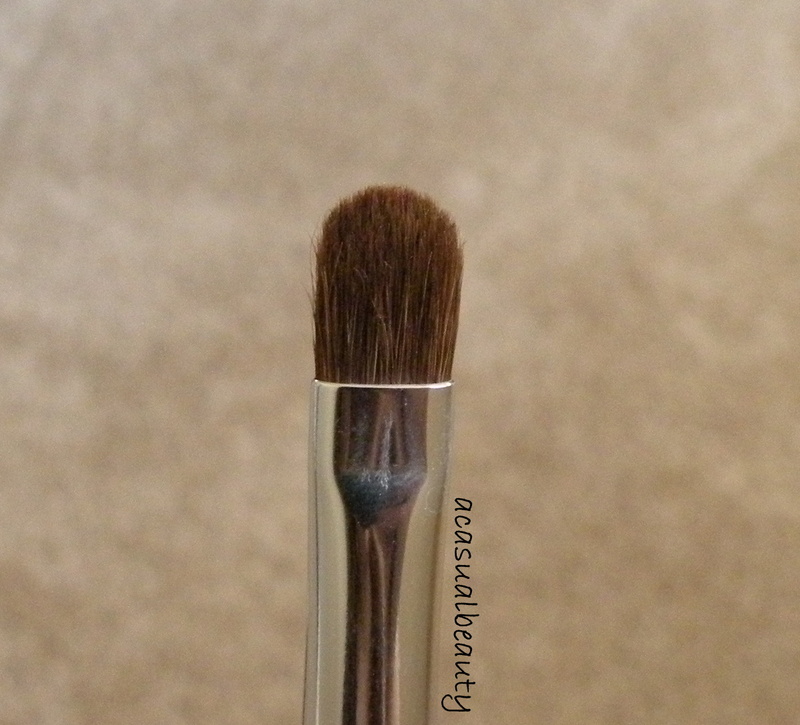 It’s been a long time since I’ve shared a brush post and considering how important tools are for makeup application, I figured it was time for another post. 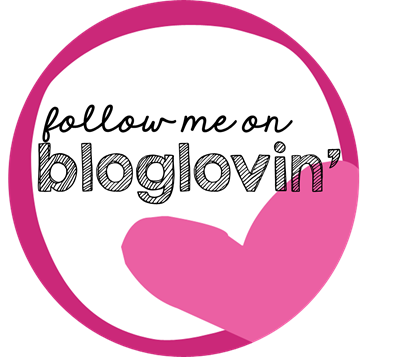 My first Brush Spotlight post can be found here. 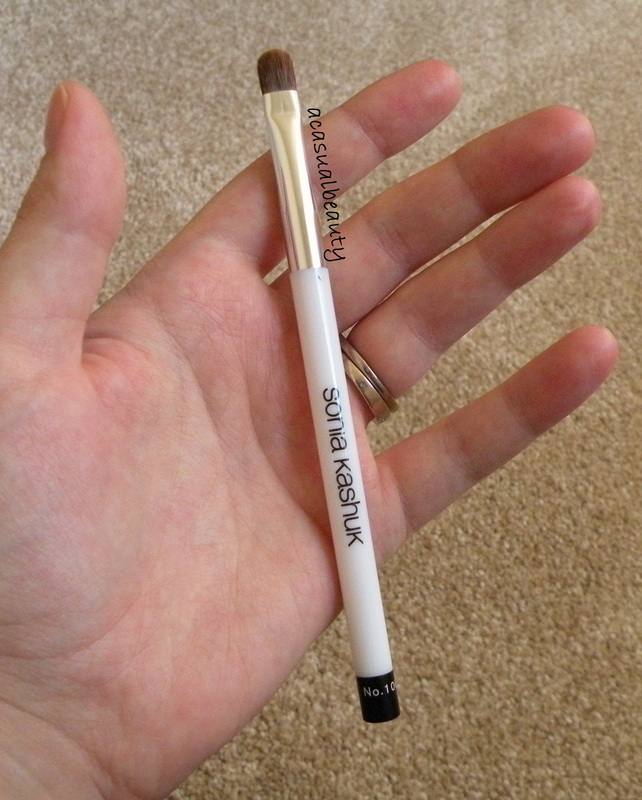 Today I wanted to share a great brush with you, and it’s the Sonia Kashuk Small Eye Shadow Brush which retails for $4.99. Sonia Kashuk can be found at Target and is a cruelty free brand. The website says this brush is made from 100% cruelty free goat hair. I have the white handled version of this brush. There is a black handled version also on Target’s website that has a “fancier” handle and costs $9.79. It looks like it’s the same brush head. I love this brush! It is a basic flat shader brush that could serve a variety of purposes. The size of this brush is great. 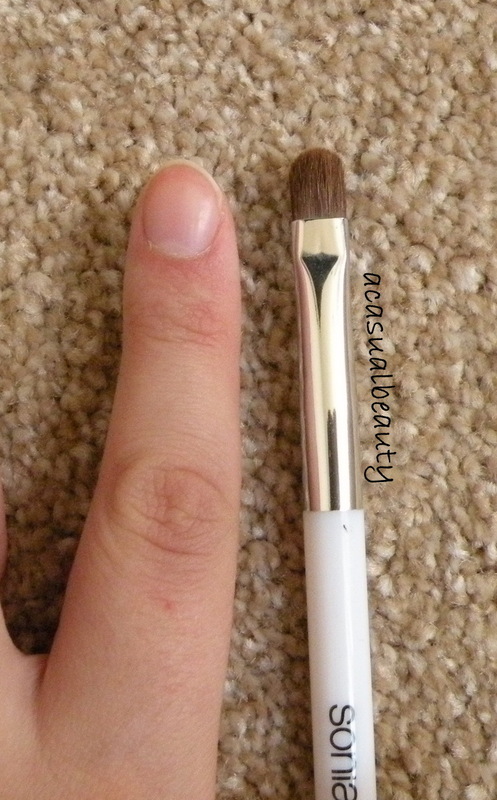 I don’t have a ton of eyelid space to work with, and I find the small size of this brush to be perfect for placing and packing shadow on to the eyelid. 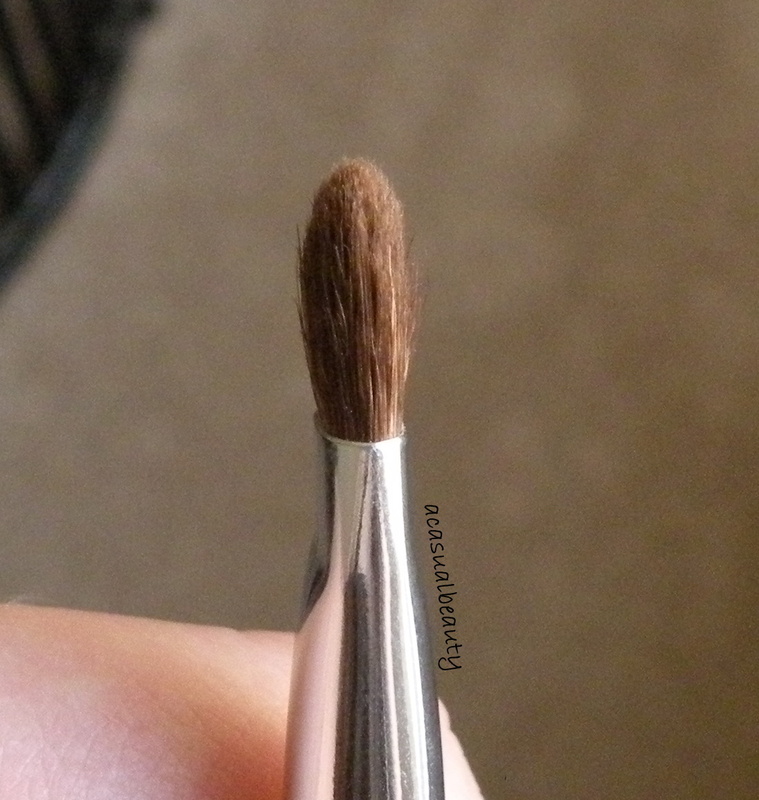 Again it’s a flat brush-it is firm, there’s no fluff to it, the bristles feel soft, and the bristles are packed densely enough to apply product well but also to provide a little bit of give. The top of the brush is a rounded shape. I’ve washed this numerous times and haven’t had any problems with shedding. I think you’re right. I couldnt rememebr where I had first heard about that but it may have been her! Thats a great question, I didnt even think about it actually…It seems to me more like real hair but I would have to do some research to find out for sure. Thats definitely what it looks like. I prefer synthetic brushes regardless, I would like to try out more Real Techniques! Hey! I just wanted to let you know that if you go to the Sonia Kashuk website and look at their brush section, there is a little drop down on the right side of the page that says “ingredients”. This will let you know which of their brushes are synthetic and which are animal hair because as I’ve found out, they do use both. They say on the website that this particular brush is 100% CF goat hair. I hope that helps! Watch Target right after the holidays…they always clearance the Sonia Kashuk gift sets for super cheap. I got a nice one a couple years ago for about $10…and I think it was 4 or 5 brushes! Oh nice, I definitely will! Oh that’s such a bummer! This is the only one I have, but I’m sure there are other good ones in the line too!